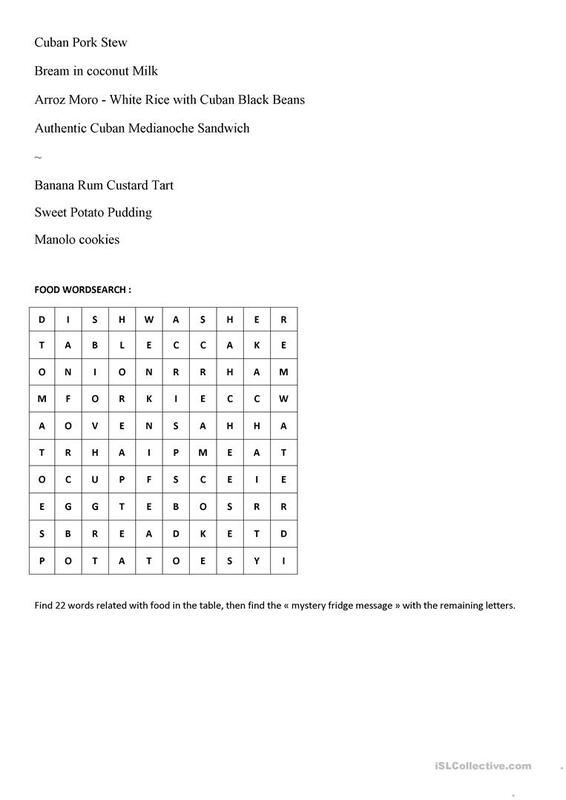 On this sheet, you will find a reference dialogue for comprehension, an exercise to practise the use of 'some' and 'any', a menu to be used for role play, and a word search on the theme of food. The above downloadable printable is best suited for adults at Elementary (A1) level. It is great for practising SOME or ANY in English, and was designed for honing your groups' Listening, Speaking and Reading skills. 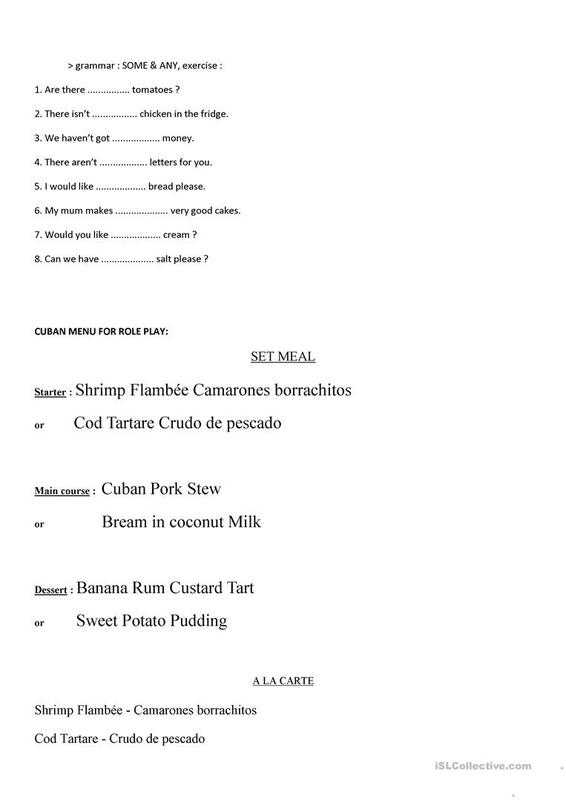 It features the theme of Food.